Royal Ambulance is a non-emergency medical transport company that serves five Bay Area counties. With a fleet of over 50 vehicles and 300 employees, they help safely move patients between healthcare facilities for scheduled medical procedures. In an industry that often sees patients as packages, moving them from point A to point B, Royal is different. They want to be the Virgin Air of ambulance services. 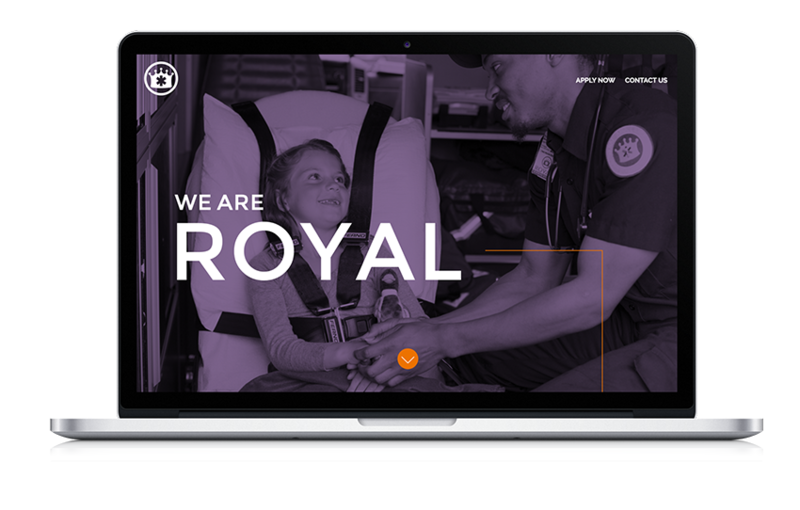 Royal’s CEO asked Kiosk to help execute a brand makeover to their voice, their visual image and their recruitment of young EMTs. Promising ‘exceptional patient experiences’ means training new EMTs in superior customer service. It also means creating a brand that today’s young, strong, urban EMTs will gravitate to. 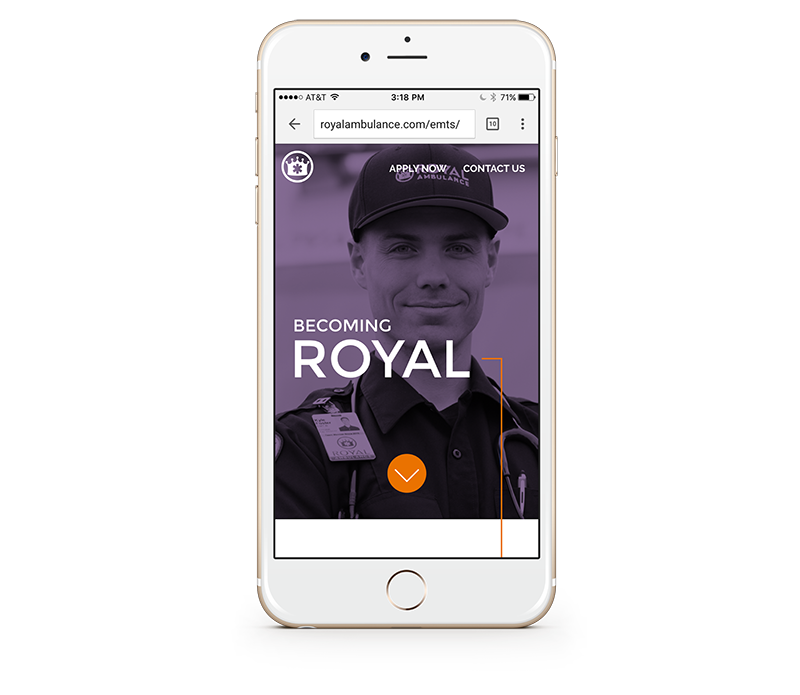 Kiosk executed a photoshoot of the Patient Journey, conveying it as ‘The Royal Treatment.” We developed a mobile-first web experience because these Millennial EMTs live on their phones. And to boost recruitment of new EMTs, we launched an Instagram page @ruletogether to show the camaraderie, compassion and cool factor of working at Royal. If your brand is in need of a makeover or mobile revamp, give Kiosk a call.